Very few people know that many materials which we consider simply as waste can be actually restored and used for further processing. During an era of high ecological consciousness and need of protection of our planet, it is possible to claim that both above alternatives are much more effective, than such “easy” decisions, as burning of waste. The GlobeCore company very well understands this situation therefore we found the economic and reliable decision on utilization of any kinds of mineral oils, namely their full cleaning and regeneration. 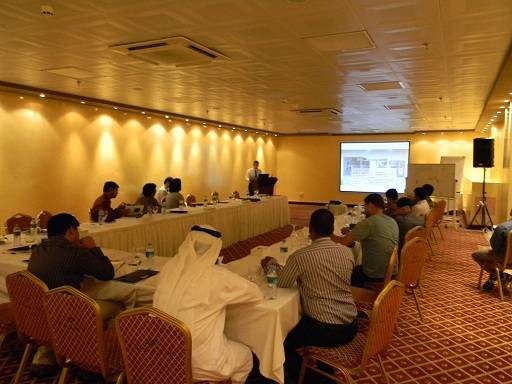 On April 20 engineers of GlobeCore company held a seminar in Kuwait and Qatar, at the request of our partners “PSC” Ltd, based on present technologies of processing, cleaning and full regeneration of mineral oils. Visitors of seminars were struck by the information about technology which restores properties of the fulfilled oil, to standard new condition. Later few months later installation of regeneration and purification was made and delivered to Middle East. Transformer oil was regenerated and purified.